The Politiko shared her utmost wish during the ceremonial Christmas lighting event. 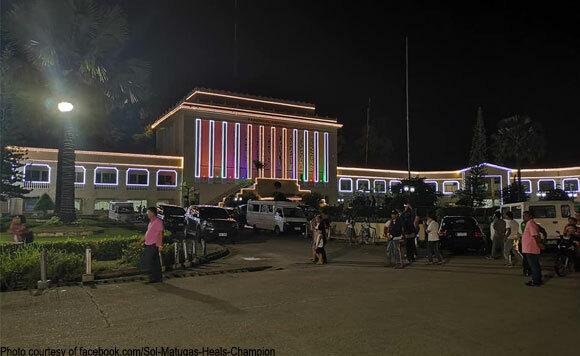 Surigao del Norte Governor Sol Matugas Recently expressed her wish for the province during her speech at the Capitol lighting ceremony on Tuesday, November 4.. On her official Facebook, the Politiko said that she wants nothing but a progressive Surigao del Norte. “I would like to start my wish for you tonight for a Blessed Christmas, a Progressive Surigao del Norte will come out in the years to come and a dynamic workforce will always be behind this wish of making our province the best province that we can build for the generations to come”, she quipped. She also added that Christmas is all about love, joy and peace. It surely looks a lot like a bright and merry Christmas in Surigao del Norte!